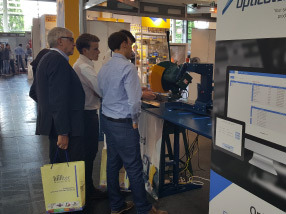 Thank you to all who visited us at the Ligna 2017 Trade Show in Hannover..
We have been completely overwhelmed by the scale of interest in ProfiStop technology with more than 3000 visitors and 200+ specific enquires over five days, making our stand one of the most visited at the show. The outstanding interest at LIGNA underlines the unique, goalpost moving nature of our product and its strong value proposition to our Customers. 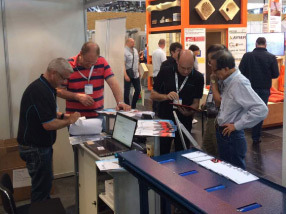 We look forward to seeing you all again at Ligna 2019 in Hannover.